Often it’s the little things that make life in our classrooms easier. CARPET SQUARES. I listen to lectures better when I am a doodling. Some people like to have something in their hands to play with to help them focus. Other people are tappers. While doodling and fidgeting are usually not distracting to others, tapping can be, so I keep carpet squares on hand. 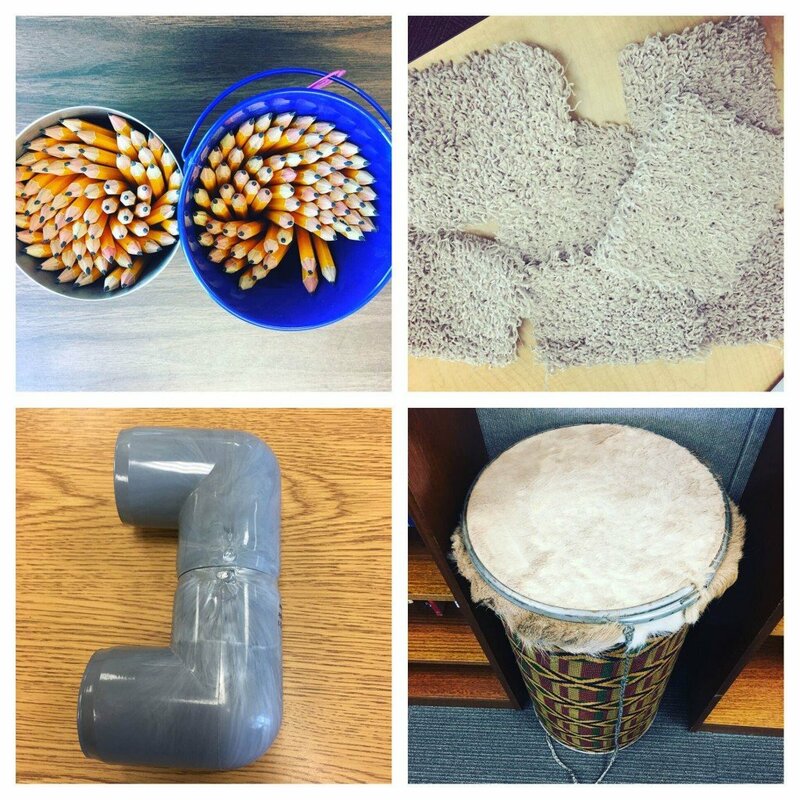 The students can drum them with their hands or a pen or pencil and it pretty much muffles the sound altogether. My tappers and the people around them can all be happy at once. WHISPER PHONES. Reading aloud is helpful to some students. It’s one more kinesthetic layer to their learning. Obviously, if you have a room full of students trying to read, some prefer quiet though. Reading aloud isn’t quiet, unless you whisper into a whisper phone (which can easily be made with two PVC elbows). You hold it like a phone and whisper it into one end and the sound travels to your ear through the “C” without broadcasting to the room. I can have a room full of silent readers with a handful of students quietly reading to themselves out loud. This works well too for students who are checking their own writing for errors in a quiet room and need to listen for errors (because we often catch errors with our ears that our eyeballs miss). None of these ideas are mine. I’ve learned of them from other educators over the years, and like a chef using someone else’s recipe, I’ve tweaked them to make them work in my classroom.